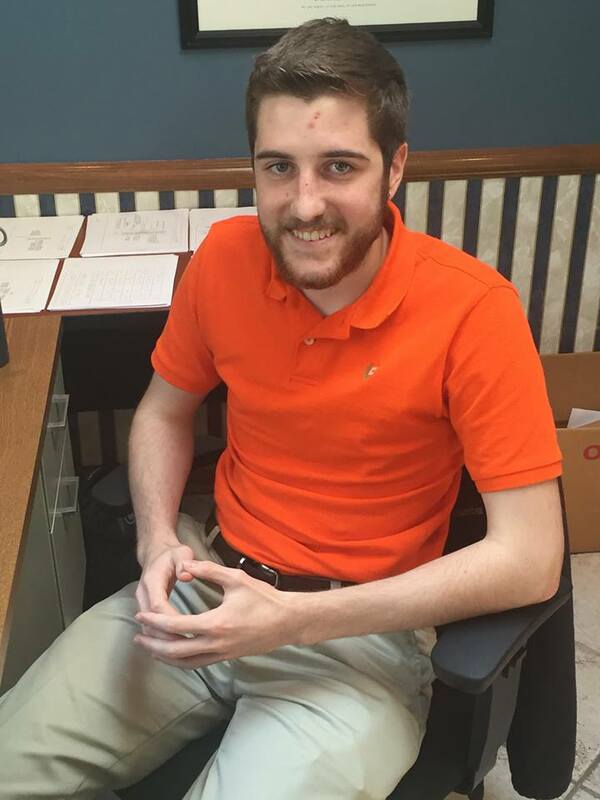 This summer, CE Solutions benefitted from having two interns in the office. BJ Fowler, an incoming junior studying structural engineering who returned to our firm for the second summer in a row, and Cecelia Germann, an incoming freshman studying first year engineering. Both are students at Purdue University. For this installation of CE Solutions’ blog, read perspectives from both of them—BJ reflecting on the environment at CE Solutions and Cecelia filling us in on how to recruit members of Generation Z.
I am a junior at Purdue University studying Civil Engineering with a structural emphasis, and I have had the privilege of being an intern at CE Solutions for the past two summers. My time there has been both valuable and enjoyable and I’m grateful for the opportunities I have had as a part of CE Solutions. It has been a great experience, exposing me to a wide variety of project types through sitting in on meetings, drafting, reviewing shop drawings, and getting out in the field. It has given me a clearer picture of a lot of the responsibilities and challenges in the field of structural engineering and has helped me to better contextualize the ideas being presented in class with their practical applications. While all of this might seem typical for an internship, the workplace culture that I found at CE Solutions is something that is much more unique. Steve, the founder and owner of the firm, loves to refer to everyone as the “CES family,” and that is a very accurate description of the mentality of the workplace. Everyone is valued as a person, not simply an employee, as a premium is placed on relationships and people above simple productivity, making the workplace an enjoyable atmosphere where collaboration is encouraged and everyone genuinely wants to be there. Productivity and hard work simply come as a result of this environment without ever having to become a point of emphasis. This distinctive characteristic is further reflected in the relationship they have formed with interns such as myself. While interns are often viewed as temporary additions, at CE Solutions, we have been welcomed by this family, as they have made an effort to create great experiences while working around our limited technical skills. Instead of asking what we can give to the firm, they have asked what CE Solutions can give to us, making the work more beneficial and enjoyable for both parties. These past few summers have given me many great experiences and taught me a great deal about Structural Engineering, but the opportunity to be a part of a firm that values people above work is something that I have appreciated even more and found to be truly special about CE Solutions. For years, the Millennial generation has been the talk of the town. There have been countless articles, studies, and of course criticisms about Millennials, all in the hopes of providing to older generations some understanding of how the youngest generation sees and participates in the world. However, now that time has passed, a new generation is rising to the forefront: my generation, known as Gen Z. With the oldest members of Gen Z now graduating from college, employers must change their focus from working with Millennials to attracting these new young workers into their workforce. One of the hallmarks of Gen Z is an eagerness to learn and grow personally, which explains why so many young employees desire an office where they are part of the family. As BJ explained regarding the environment at CE Solutions, Gen Z workers look for an environment where the company gives to the employee as much as the employee gives to the company and where they feel they are valued for who they are instead of simply their productivity. Providing a nurturing atmosphere where young workers have an opportunity for both personal and professional growth is an excellent way to connect to the younger generation. Due to their status as “digital natives” and the prevalence of technology, Gen Z are highly independent and entrepreneurial by nature. Giving young employees ownership of their projects, no matter how small, and encouraging them to think outside the box will help them feel more invested and fulfilled, ultimately increasing their loyalty to the company. By attempting independent projects, workers will also learn to problem-solve and work smarter, which can increase the workers’ success and benefit the company in the long run. Similarly to Millennials, Gen Z are socially conscious and feel an obligation to create positive change in the world. They want to see that employers will give them meaningful work that will help make a difference. Sustainable practices, like LEED certifications, and a focus on relationships in the workplace help young workers to feel empowered and connected to their community. Facilitating discussions about the wider impact of a project, such as community or environmental benefits, will also keep employees more engaged in and enthusiastic about a project. As Gen Z employees enter the workforce, a few adjustments on behalf of employers to play to their nature will not only attract these young workers, but ensure their loyalty and workplace contributions for years to come. A structural engineering firm located in Carmel, IN. ©2017 by CE Solutions. All rights reserved. | Powered by Squarespace.